Facebook is often mistakenly thought of as a place to sell a product or service. This isn’t the case though, as Facebook is a social media platform, not a one stop shop. Businesses nowadays should be acknowledging the fact that a large section of their target audiences are so accessible through a simple social channel. Around 90% of the time Facebook users do not log in with the goal of purchasing a product, instead they are accessing this social network in order to build and establish relationships with one another. Businesses should definitely be taking advantage of this. According to thenextweb.com Facebook’s referral traffic share grew from 15.44% to 21.25%. Compared to its online competitors, last month Facebook drove more than double the amount of referrals to sites than the 7 other social platforms combined! So I would say Facebook is a pretty good route to go down, right? A rule of three can be seen within social media: members-fans-customers. Business pages on Facebook are a credible way of driving traffic toward your site. Generating an interest from your target audience is often easier than not on social media platforms, and can therefore convert existing users into potential consumers. The great thing about a Facebook business page is that it provides a place to build up relationships with potential consumers and engage with them on their level. You can then use pictures and statuses to provide links to products and content and ultimately drive traffic back to your site. Facebook, or any social platform, has increasingly become a place where relationships between two entities can be strengthened. Coming out of the business setting and connecting with your consumers on a more sociable level is a genuine way of establishing brand loyalty and developing a trusting relationship. Facebook provides an organisation with a tool to be personable with its consumers and get a strong grasp on their persona before engaging with them. Facebook has readily available analytics and metrics to facilitate the evaluation of data related to customer interactions. This can be anything from comments, likes, mentions or even fan demographics. Having this tool readily available improves an organisation’s ability to specifically identify and target individual groups of people, consequently making the process of promotion and eventually conversion a much smoother. Analysing your competitors’ habits and current marketing activities is a must within any organisation. Facebook provides a valid way of evaluating any competitor’s social antics. For example, businesses can now look into the way their rivals are engaging with their social network, what promotions they are running, how successful they are within their social platforms and what feedback they have received from their fans. This helps an organisation create a strategy based on what they think will be successful for their business and what may have worked or not for their competitors. A minimum of five pages must be chosen to enable this feature, however I would recommend much more than five. Once your page collection is complete, you can now start to watch these pages. Within your “page feed” you should now be able to see the amount of people who like the pages you are watching. As well as this, within the “overview section” of your page insights”, you can start to evaluate the number of increased or decreased page likes on competitors’ profiles and the amount of engagement the pages receive. Another useful way of using this feature is to click on “top posts from pages to watch” in the “posts” section of your page insights. This enables you to immediately view the top five most engaging posts from your selection of watched pages. If you ever would like to stop watching a page, click “edit” in your “page feed”, then hover over the page and click the X. Generating pages on Facebook will help your business increase its overall exposure and generate a greater brand awareness. Facebook business pages can be used to push specific parts of your web content to your target audience. This can include anything from new marketing activity, industry news, upcoming job opportunities or even general entertainment for your consumer. The advantage of having a Facebook business page over a personal profile is that people don’t have to be logged in, or even a member of Facebook to see your page, therefore the exposure level is even higher. Before any analytics or technical elements are mentioned, remember, one of the key points of using this platform is to generate a positive vibe and produce a good perception of your brand. One of your main goals should be to provide your fans with content that generates interest and creates brand awareness. This can involve anything from commenting on posts, wishing them a happy birthday or larger scale content such as running competitions or producing interesting topic debates. Visuals are also a great thing to utilise on Facebook. For example, cover photos are most likely the first thing a consumer will see when clicking through to your site. It is important to use this space appropriately. Make sure you know how you want your brand to be perceived, then set the tone with your cover photo. Below is a demonstration of Nike’s Facebook cover photo. It is evident that Nike were going for a simplistic cover photo that reinforced their values and the tag line of the company. Facebook applications and games are also a great way to engage with your customers and build awareness, as well as drive traffic to your site. Magnum has been very successful within this area. They initially created their “pleasure hunt” game on Facebook, which lets the consumer play as a woman chasing chocolate pieces. From here, they have produced two more sequels to the game. The promotional options within Facebook are more robust now than ever. This platform has provided companies with the ability to run targeted ads based around statistics you have found within your marketing database. As well as this, the customisation of your social promotion is increasingly becoming more specific, meaning you can now target ads to customers that you are certain will show genuine interest. Using these features not only provides you with a definite target consumer, but also cuts costs on wasted exposure. Facebook.com provides a detailed demonstration of exactly how you can make the most out of targeted ads. One great thing about Google is the ability to prioritise and rank websites or content that is specific to your search. Facebook graph search is a similarly great utility that provides you with a way of specifically searching and ranking your target audiences on-page content. This will allow you to find specific key terms or popular topics that are being discussed by your customers. Consequently, you will be able to tailor your content to what you now know will be perceived to be interesting by your consumers, thus producing higher engagement levels. 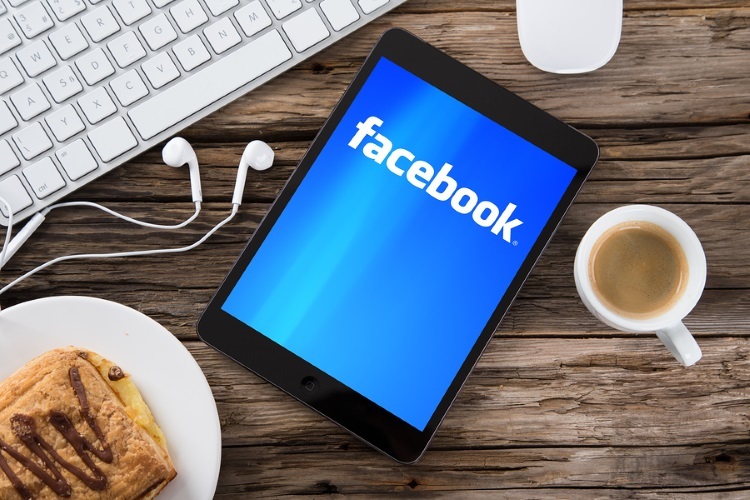 These are just a few ways to utilise Facebook in your digital marketing strategy. Queensland.gov provides a detailed insight into this social platform and how you can use it to increase your brand’s success rate.